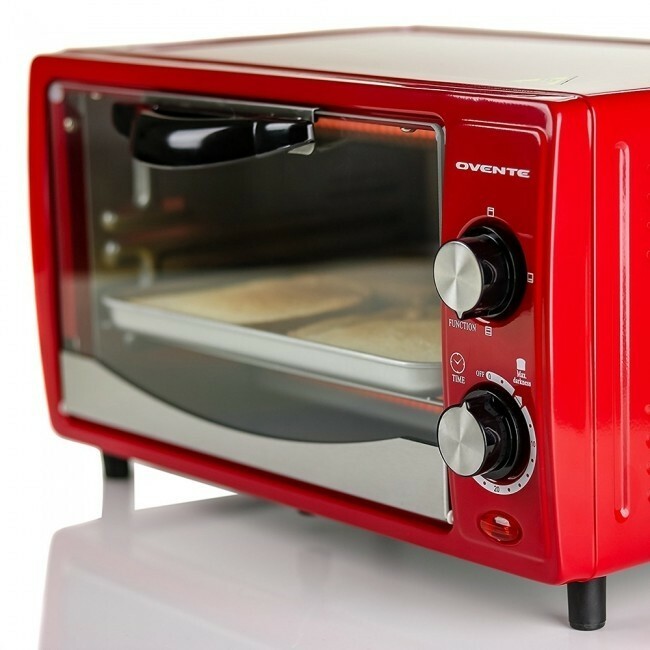 An indicator light will remain lit whenever the oven is on and in use - Safety first! 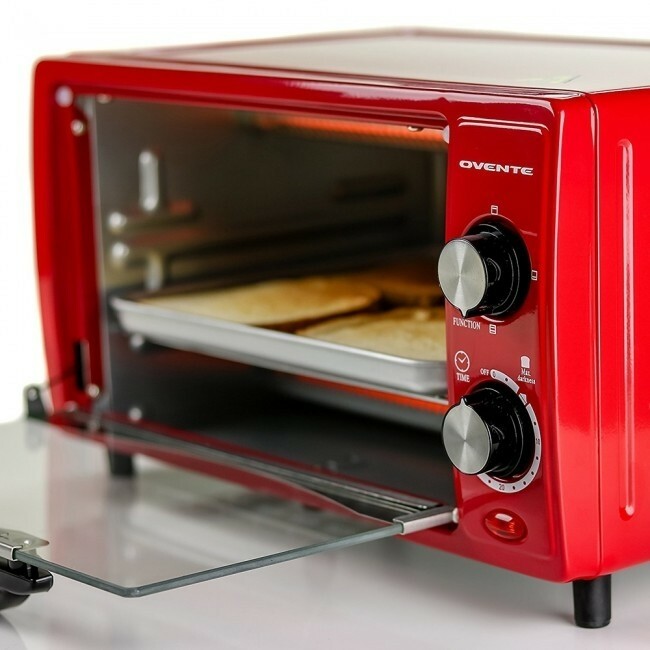 Ovente's latest product features an 800 watt high performance heating element and a large 10L capacity which makes it perfect for anything from baking pizza to toasting bread to baking cookies. 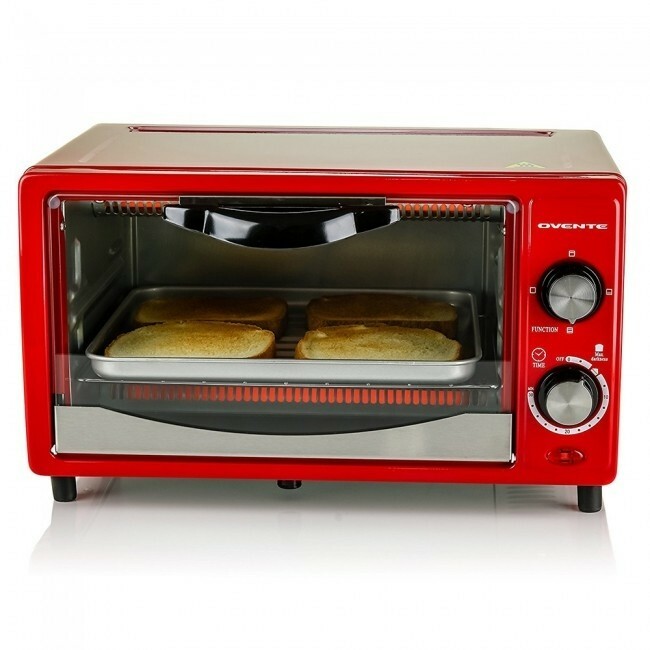 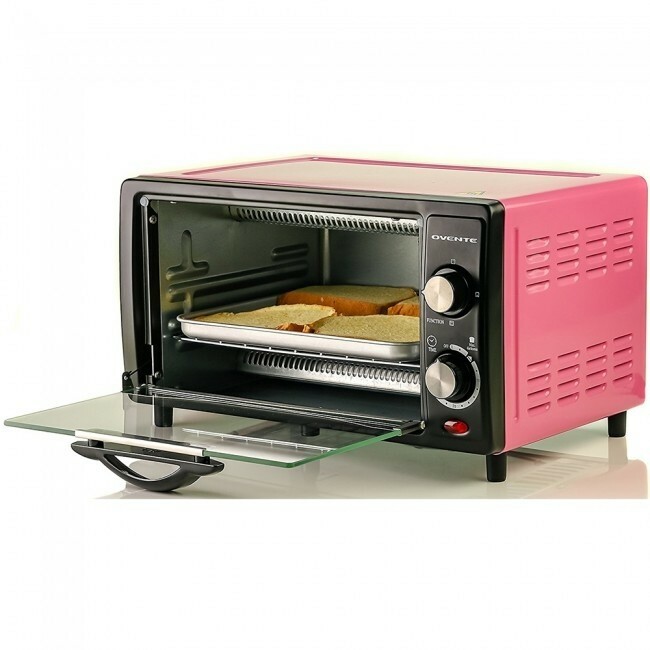 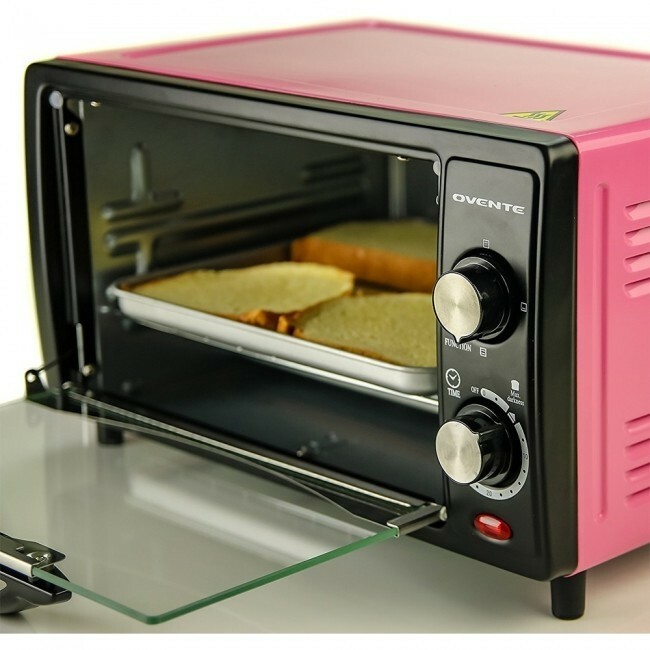 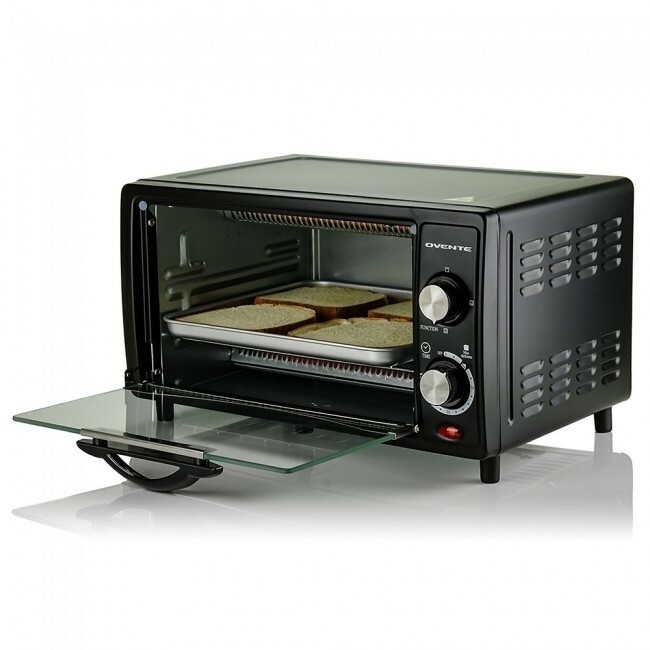 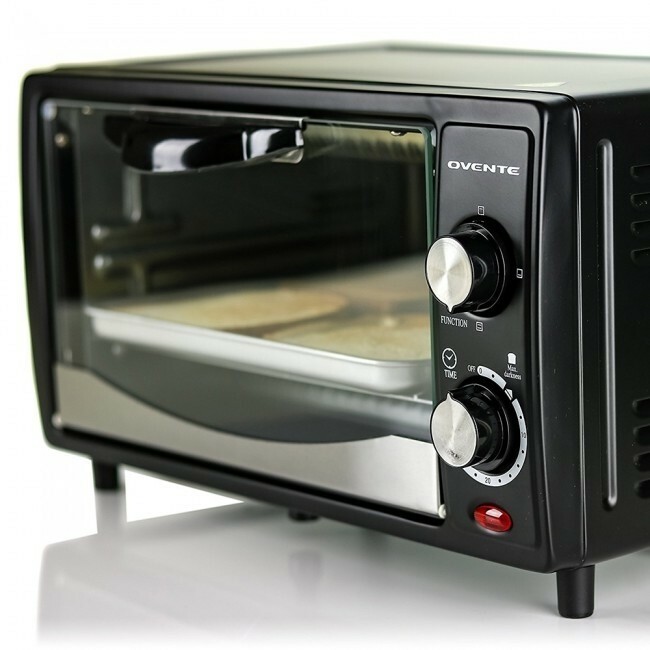 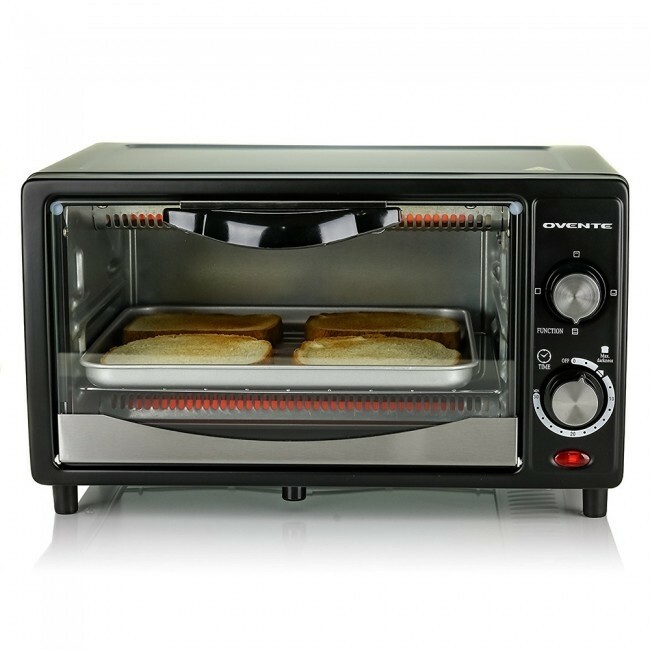 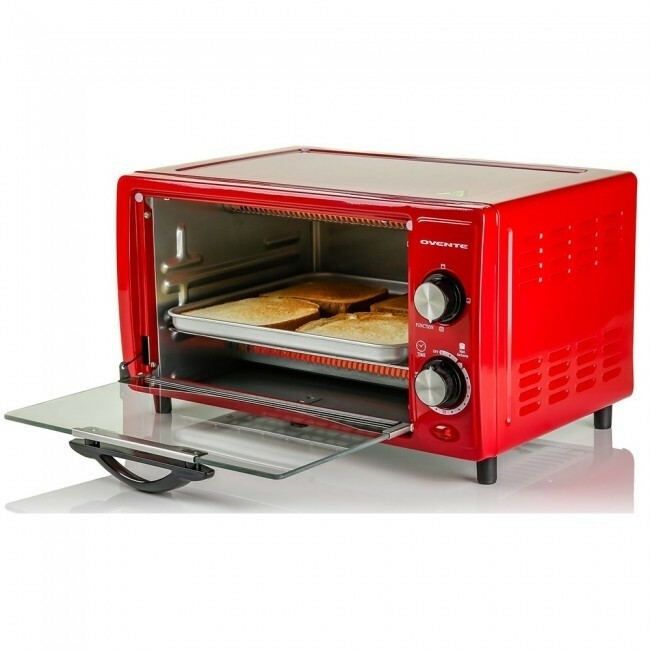 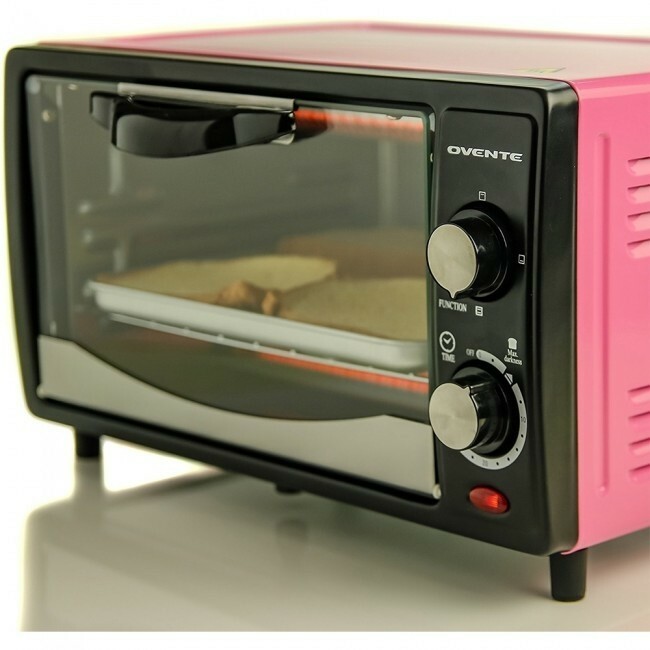 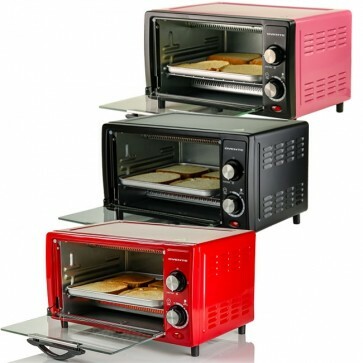 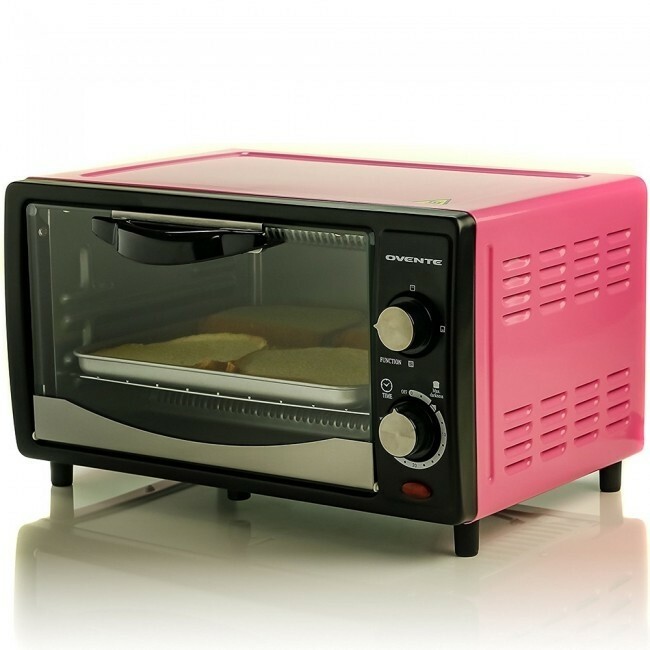 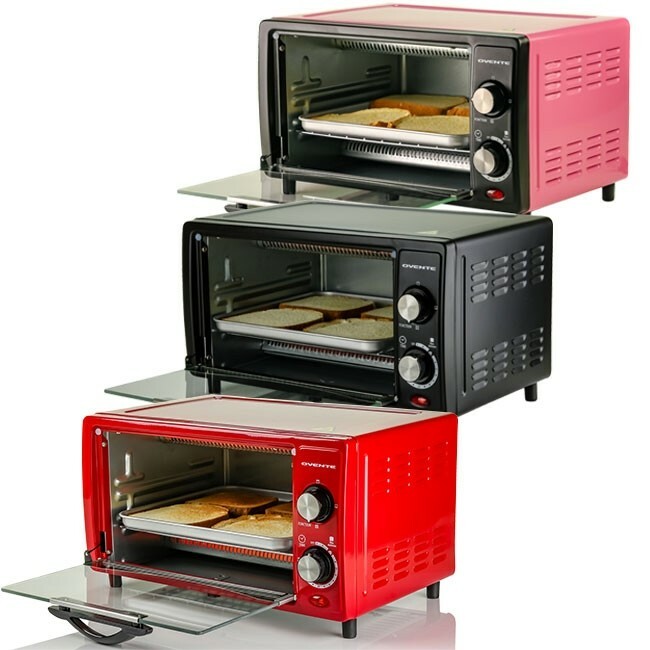 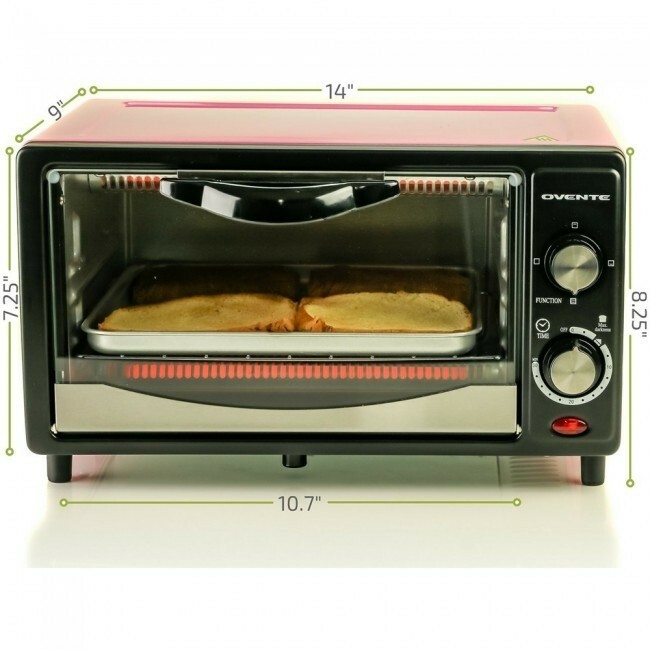 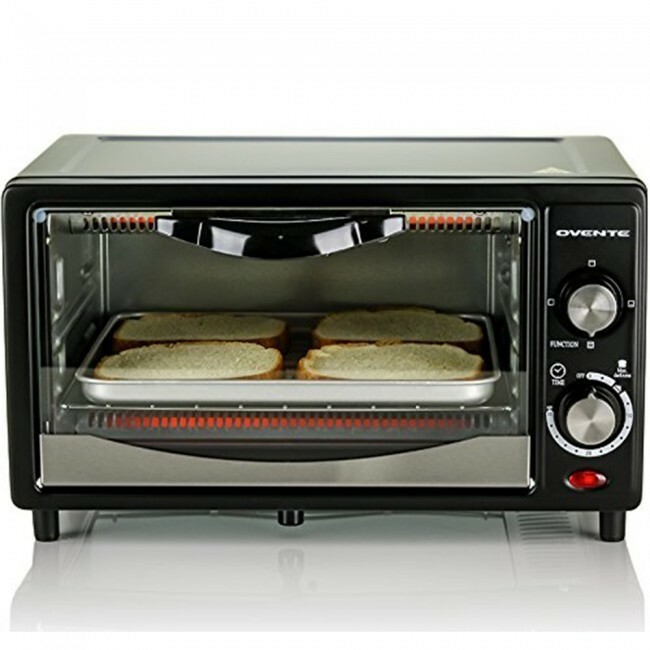 This remarkable counter top toaster oven fits any where and is perfect for households, dorms, and even break rooms at the office. 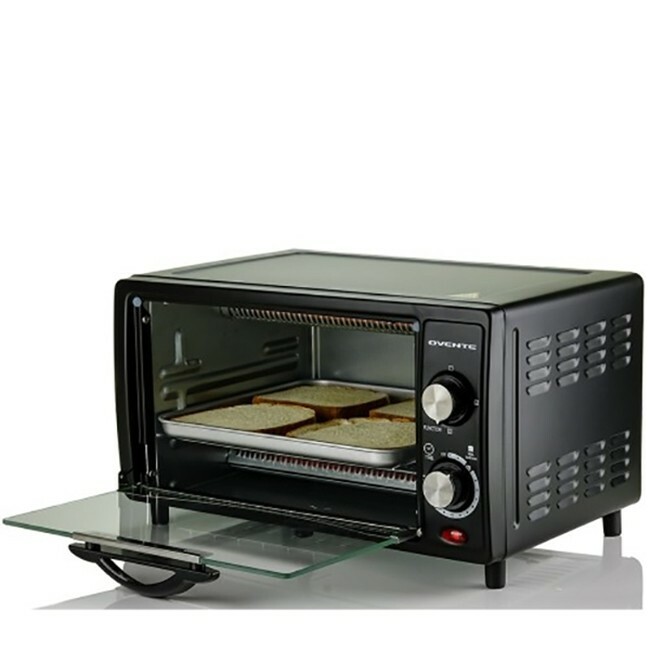 It includes a function knob which allows you to have total control of the cooking process - dispersing heat from above, below, or both. 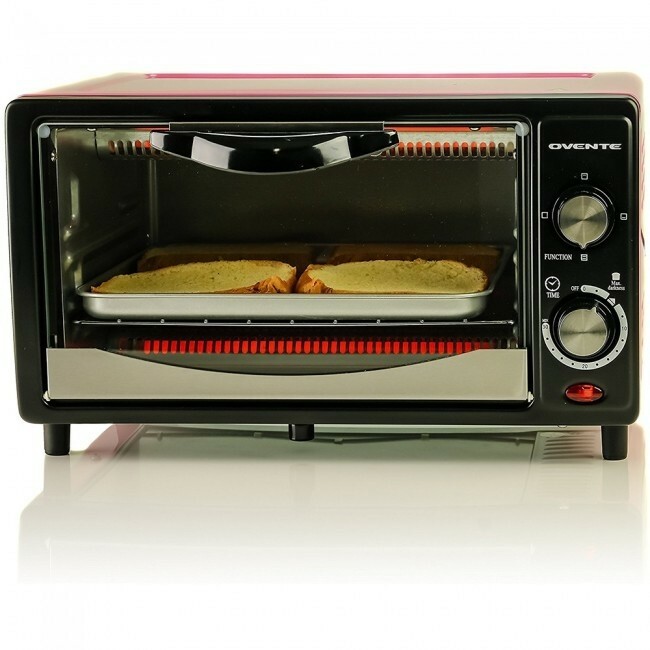 With detachable baking/drip and crumb trays, Ovente ensures you spend more time enjoying your meal and less time worried about cleaning. 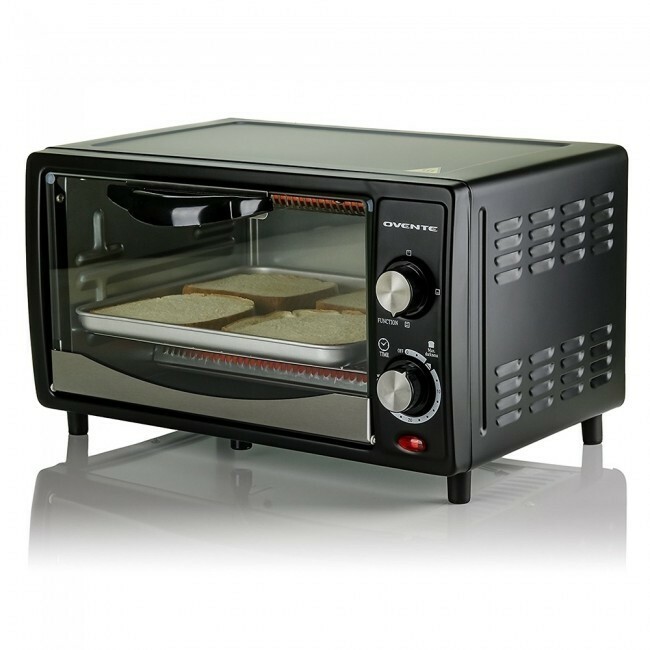 The toaster can be set to a specific cook time or to stay on for those meals that need just a bit more time. 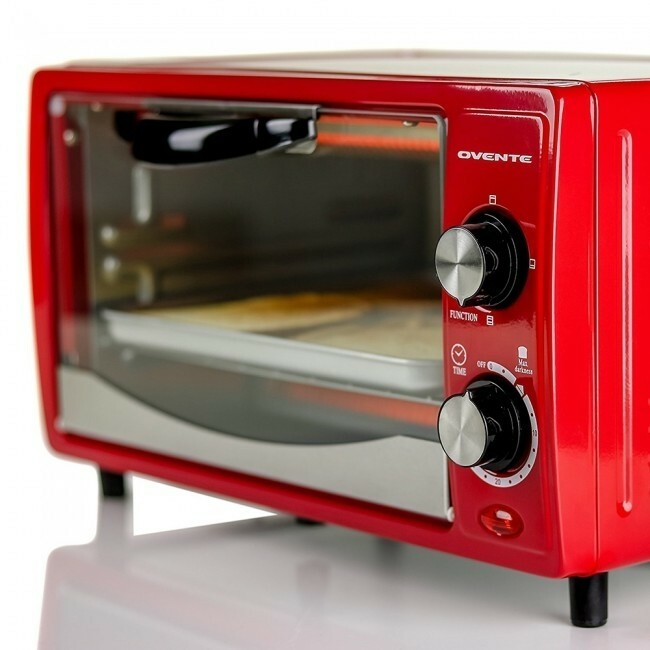 As always, safety comes first, so this toaster comes equipped with an indicator light which remains lit whenever the toaster is in use making it easier to remember to turn off.